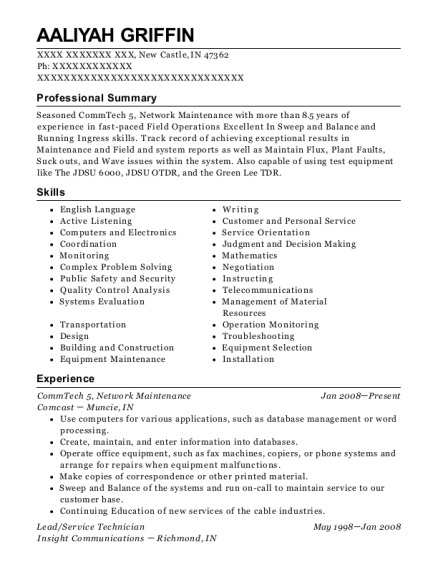 Seasoned Maintenance technician with more than 8.5 years of experience in fast-paced and ever growing cable company. Excellent determination and customer satisfaction skills. Track record of achieving exceptional results in service department and network maintenance. Work with construction and Head End support to provide new build cable and well as maintaining existing cable and fiber optic plant. Running 24 hour on call according to scheduled time in rotation as well as back up on call when needed. Travel to customers' premises to install, maintain, or repair cable, and telephone wiring and equipment or accessories. Explain cable service to subscribers after installation. 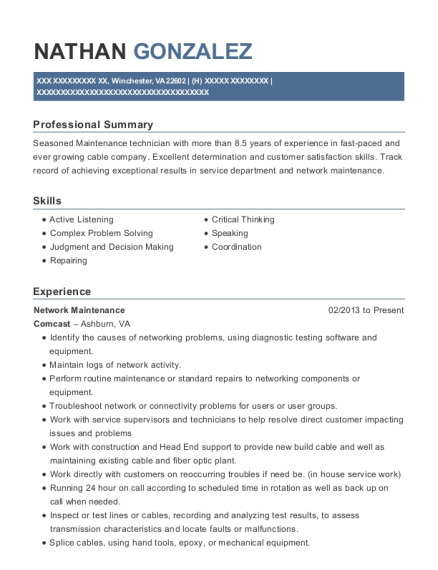 This is a resume for a Network Maintenance in Winchester, Virginia with experience working for such companies as Comcast and Comcast. 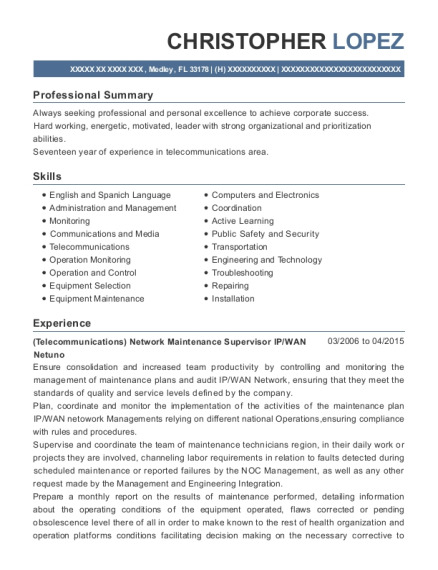 The grade for this resume is 0 and is one of hundreds of Network Maintenance resumes available on our site for free. 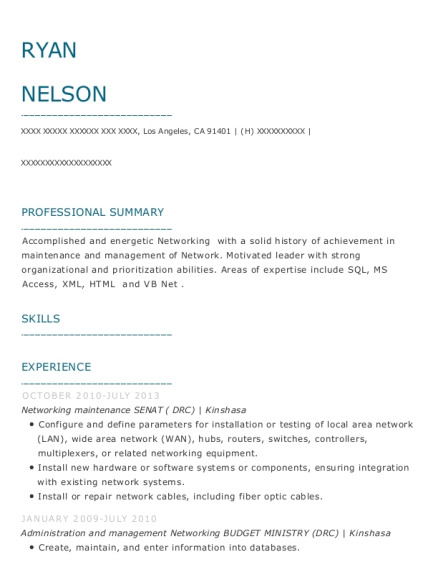 Use these resumes as templates to get help creating the best Network Maintenance resume.